At Yousician we believe that everyone is born musical, and we want to help everyone play. We’re creating high-tech products to re-imagine music education, so we work with modern tools and processes, and are guided by data and evidence. We’ve built an amazing team of creative and passionate people, all working together to help millions of musicians learn, play, and make the world a more musical place. 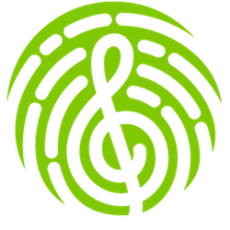 Our mission really matters: to make musicality as common as literacy. It’s our lighthouse that reminds us where we’re going all the time. We work with the best people and develop first-class technology. Our top line goal is the user benefit - not valuation, not being just a “cool company”. We empower employees and build relationships on trust - it’s easy when you work with exceptional people. So, we don’t do complex hierarchy, and think silos are counter productive. Instead, we have small independent teams who strive towards transparency and ownership. We have team members from all over the world, but all speak English at work. This way, all of our 17 nationalities can communicate - it’s a no brainer since everybody speaks English in Helsinki.